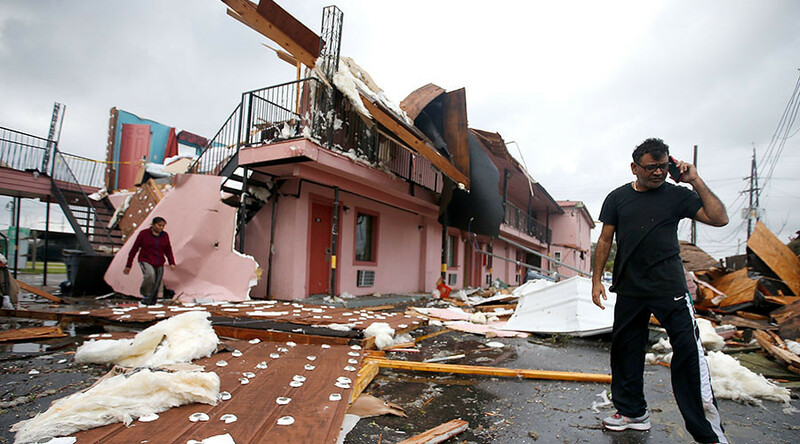 Southern Louisiana, including New Orleans, has suffered severe damage after seven tornadoes battered the area, causing dozens of injuries and leaving a wake of destruction. Governor John Bel Edwards declared a state of emergency Tuesday morning following the onslaught that left about 10,000 homes without power and severely damaged NASA's Michaud Facility. New Orleans East, which was hit by Hurricane Katrina in 2005, was one of the hardest hit areas where at least 60 homes and businesses were reportedly damaged and about 25 people were injured. NOPD IS REQUESTING ALL AVAILABLE OFFICERS TO NEW ORLEANS EAST, TO ASSIST WITH EMERGENCY RESPONSE TO TORNADO. By declaring a state of emergency, the governor empowers himself and other officials to act faster to help ensure safety. This can include mobilizing law enforcement officers and the Louisiana National Guard in some cases. Impacted residents shared pictures of flipped cars, torn-off rooftops, broken power poles and piles of debris as the state tries to once again recover from extreme storms.